Easter has come and gone, spring is here, and the sales numbers are in for March! 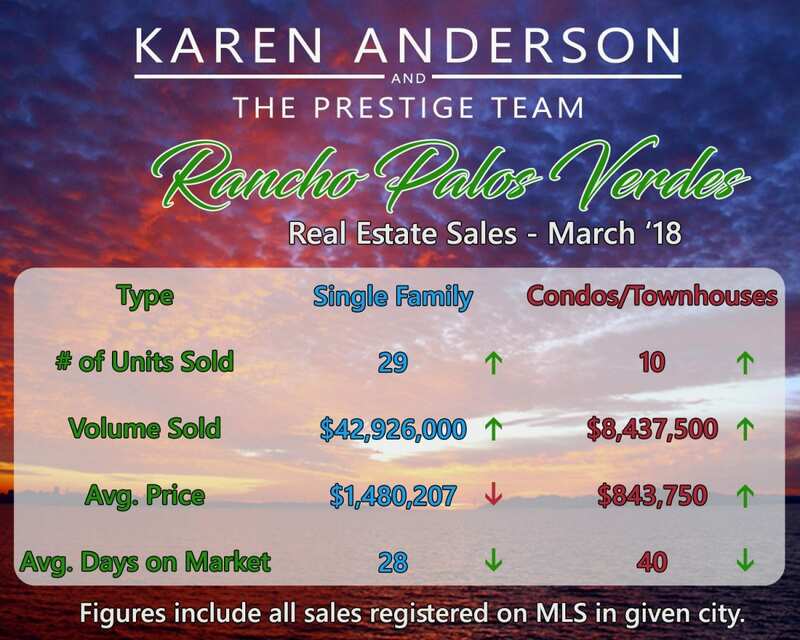 Rancho Palos Verdes had a great month! Single Family Resident houses increased across the board with the exception of average price, which dropped significantly due to a few sub-million dollar sales Eastview; one of which was a major fixer which sold for $770k. 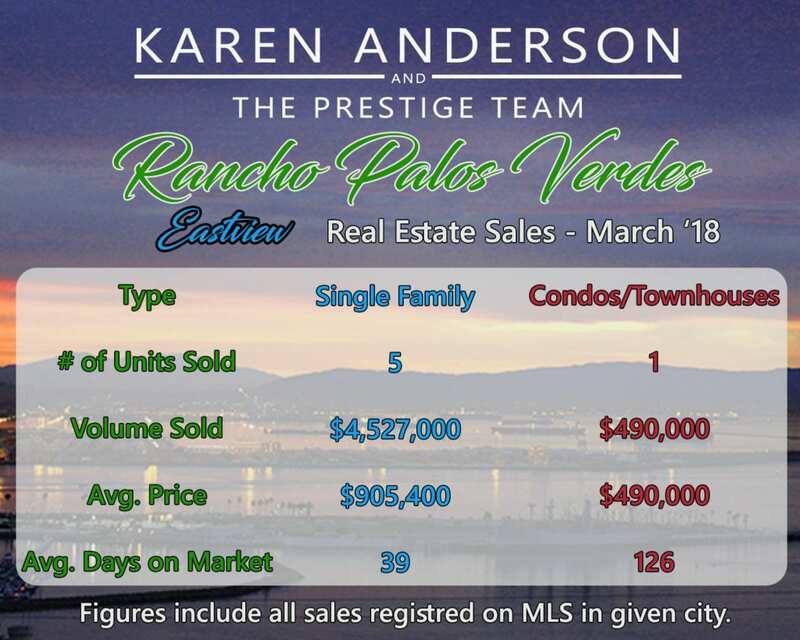 Another thing to note is that February had no sales in Eastview, causing the average sale price to become somewhat inflated. Condos/Townhouses sales doubled in units sold and more than doubled in volume, raising the average price per unit to over $840k. Days on market also improved, down to 40 days compared to 59 in February. Eastview specifically had 6 sales total: 5 homes averaging just over $900k and 39 days on the market. There was also one condo that sold for $490k. This is a major improvement over February, as there were no sales. However, we expect these numbers to increase as we head into summer. Thinking of selling? Check out or Home Selling Basics series to get the most out of your improvements before going to market!